In 2015, Gov. Greg Abbott said President Barack Obama’s plans to reduce greenhouse gas emissions were “unilateral executive overreach.” He’s leaned on this narrative a lot in his tenure as governor and Texas attorney general, but when you look at his record, he does the very thing he criticizes. 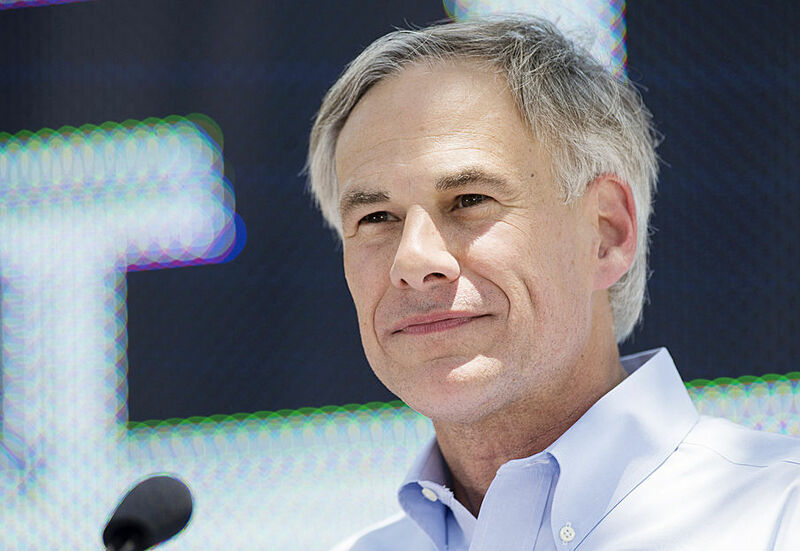 Last week, Abbott announced a slew of line-item vetoes to cut funding for several environmental programs, which added to a growing track record of overreach into local government territory, dictating to cities and counties what he thinks are best for them. Gov. Abbott cut $87 million from the Low-Income Vehicle Repair Assistance Program (LIRAP) (also called the “Drive A Clean Machine” program,) which helps working Texans repair or replace vehicles that fail emissions tests, and it has helped Texas counties to enforce emissions standards. This was a county-level program in areas that have particularly poor air quality, such as Austin, San Antonio, Houston and the Dallas/Fort Worth area. LIRAP funds come from a county instituted fee of $2 to $6 that individuals pay during routine car inspections. The money is collected and used by counties for no other purpose, yet Abbott axed it. The program was created under Gov. Rick Perry’s administration with Republicans carrying the legislation, and some 100,000 cleaner vehicles are now on the road because of it. Abbott also cut $6 million in funding to the Texas Commission on Environmental Quality (TCEQ), saying that this money would be allocated for projects such as building bike lanes and creating carpooling campaigns that should be done on the local level. Such reasoning might make sense if he didn’t already have a track record of taking away rights and funding from cities and counties. In one of the most egregious examples of overreach, Gov. Abbott signed a bill in 2015 that prevents cities from protecting their citizens from fracking operations. He also supports Attorney General Ken Paxton’s effort to take away the right of cities to curtail plastic bag use to reduce litter and pollution. Just last Thursday, the governor vetoed SB 570, despite its overwhelming bipartisan support. This bill would have helped local governments and the state address illegal tire dumps. It would have improved enforcement strategies to give state and local entities the ability to prevent unauthorized disposal of used and scrap tires. There are hundreds of illegal dump sites, from Houston to the Rio Grande Valley to El Paso, precisely because of the lack of enforcement strategies and tools. These illegal dump sites lead to fires and are mosquito breeding grounds, which can increase the spread of Zika. Some might consider Abbott’s signing of SB 1731 as evidence of his support of cost-effective pollution reduction. The bill extends and expands the Texas Emissions Reduction Plan (TERP) — a suite of programs that incentivize cleaning up emissions from mobile sources. However, the program’s funding was actually cut by nearly 34 percent. Supporting TERP expansion is simply not enough if Abbott decides to follow the Legislature’s move to cut its funding and other useful environmental programs like LIRAP and air-quality planning grants. By his track record, Gov. Abbott is not trying to empower individuals and communities, he is actually sabotaging them. He is deceiving Texas communities into thinking they can make their own decisions, but when communities decide to live in a way that he disagrees with, he restricts their ability and rights. This weakens the integrity of our state and jeopardizes our environmental quality. Abbott must be aware of air quality problems in Texas, because such data is required by law under the EPA to be reported to TCEQ. It’s hard to believe he does not understand the importance of cleaning up our air pollution, and respecting local efforts to fund such programs. And if he does understand this threat, then he is choosing pollution over people.